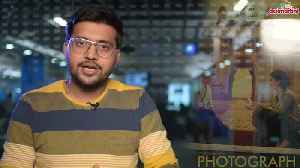 The post Photograph Movie Review: Nawazuddin Siddiqui’s nuanced performance lifts up this tale of love and existential angst appeared first on Bollywood latest news. 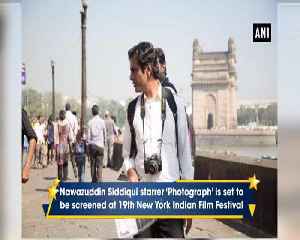 Photograph Movie Trailer HD Plot synopsis: A struggling Mumbai street photographer pressured to marry by his grandmother convinces a shy stranger to pose as his fiancee during a family visit. Despite..
After gathering accolades in International film festivals, Nawazuddin Siddiqui and Sanya Malhotra starrer 'Photgraph' finally hit theaters today. The new song titled "Tumne Mujhe Dekha" from film 'Photograph' is out. 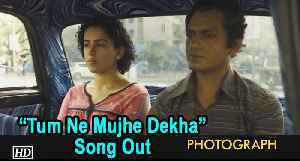 Featuring Nawazuddin Siddiqui and Sanya Malhotra, the song depicts the budding connections between the two in the film.